You can order the book from Cambridge Scholars Publishing by clicking this link. 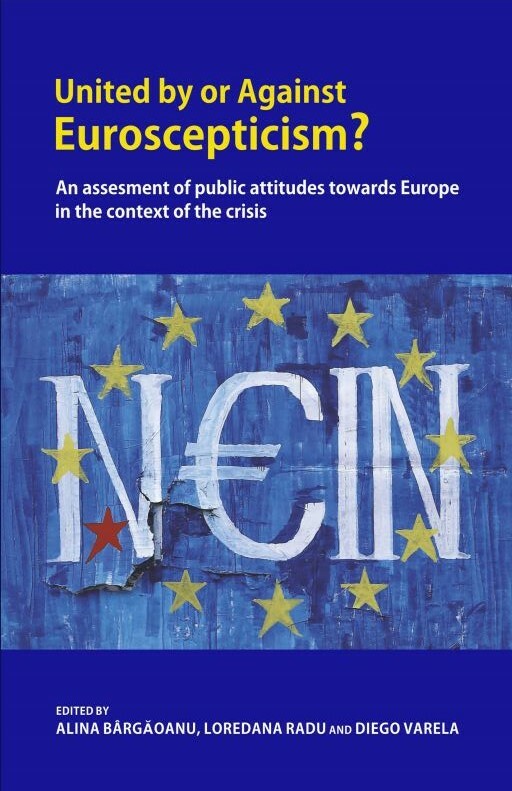 The volume offers detailed analyses of various dimensions of Euroscepticism in the context of the greatest economic crisis in the history of the EU. Divided into four sections, the first brings together general theoretical and empirical perspectives on Euroscepticism, building on existing studies. The second section focuses on the effects of the current economic crisis on Eurosceptic attitudes, while the third explores the marginal impact of Euroscepticism by analysing this phenomenon in countries that have recently joined the EU, such as Romania, and others in which membership is a debated issue and which may use the former’s experience as a model, such as Turkey or Ukraine. Finally, the concluding part discusses the consequences of Euroscepticism for the unity of Europe and the global role and relevance of the EU. Alina Bârgăoanu, consultant at CECS, Professor and Vice-Chancellor of the National University of Political Studies and Public Administration, which is the Romanian School of Governance, author, co-author and editor of 12 books, including The Crisis of the European Union: Citizenship, Identity, and Solidarity Reassessed (2013). Loredana Radu, Associate Professor in the Faculty of Communication and Public Relations at the National University of Political Studies and Public Administration, Bucharest, and Director of the Center for EU Communication Studies. Diego Varela is Associate Professor in the Department of Political Science, International Relations and European Studies at Universitatea Alexandru Ioan Cuza in Iasi.